Project Freeman-Phase3A.2;Test Remedies-2.Tactics-2. 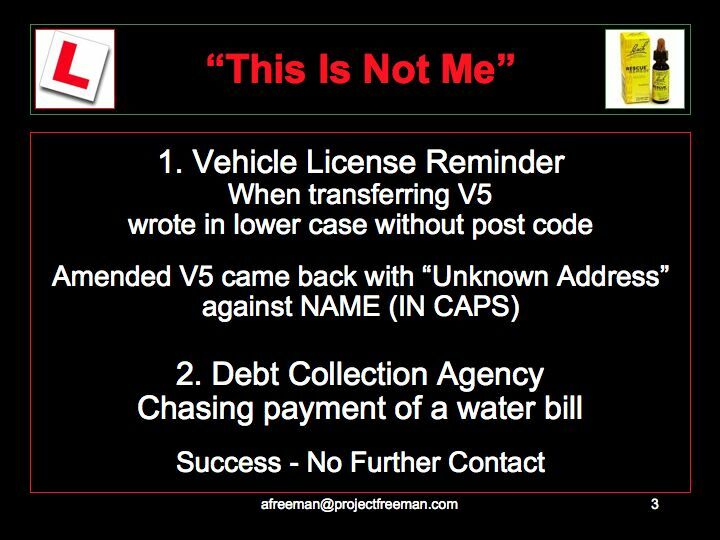 "This Is Not Me"
2. Test "This Is Not Me"
2. 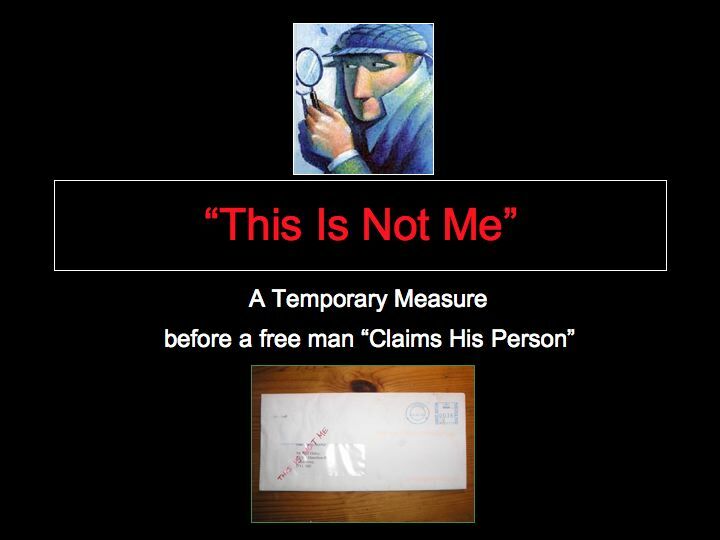 "This Is Not Me"
'A Freeman' tried this on a claim from a debt collection agency alleging that 'A Freeman' owed money to a water supply company for water supplied three years before at his previous address, when in fact he had settled all bills in full shortly after moving. The agency had made numerous phone calls and sent threatening letters and ignored 'A Freeman's' request that they get back in touch with the water company to confirm that the outstanding amount had been cleared. 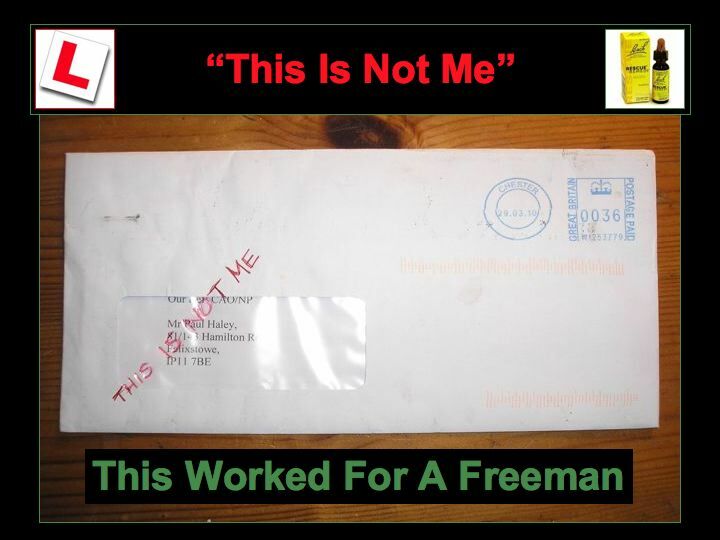 'A Freeman' initially told one of the agency's representatives during a harassing call that he no longer gave his company permission (under data protection) to contact him by phone and that if the calls didn't stop they would be reported for harassment.